Our factory trained and Porsche certified service team experts are always ready to help you. You can book a service appointment online or call us at (516) 758-0888 and one of our Porsche service advisors will be happy to help you set up your appointment. Our techs are not only factory certified, many are Gold Meister Technicians. All of our technicians go through rigorous training that takes years to complete before we can say they are Porsche Certified. Our Technical Foreman has nearly 40 years of experience working on all types of Porsche vehicles. None of this would matter if we did not take care of our clients, at Porsche Gold Coast customer satisfaction is a top priority. We are an exclusive Porsche dealer dedicated only to Porsche vehicles, so there is never a question as to what kind of technician will work on your prized Porsche. Our Classic Department knows how to cater to your vintage collection vehicle needs, and for the future classics we have Carrera GT and 918 certified specialists. 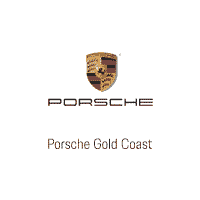 Only the best service and customer care are given at Porsche Gold Coast! An online Video Owner’s Manual is now available! Click here.